A blog about French wildlife with a wide focus on French species, conservation, habitat management including keeping honey bees and honey production managed organically in a sustainable manner. 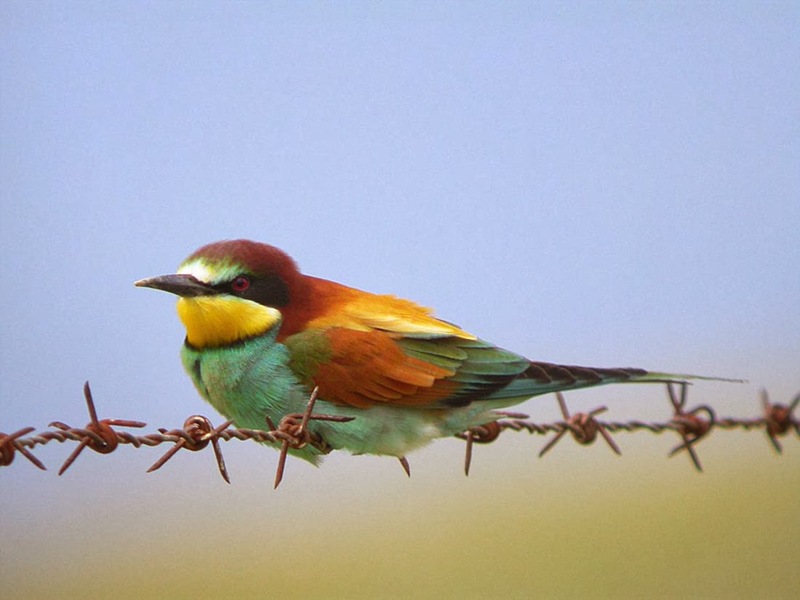 Bee eaters have been another victim of the poor weather we had for the first 6 months of this year and I’m sure there is going to be quite a list of losers as the figures come in and verify what I have already heard, seen or suspected. Only 32 couples were recorded nesting in the Vienne department this year, less than half the number we have been seeing in recent years. Only two sites maintained their normal numbers, a quarry and a riverside location. On the 9 sites that were used there were between 1 and 14 pairs. Nesting took place extremely late with no young birds visible at the tunnel entrances as late as mid July. This species was undoubtedly severely affected by the unusually wet and cold weather we experienced even into the month of July resulting in a substantial loss of flying insects or decent weather to hunt for them. It’s more than likely that this is a situation that has been repeated in much of France this year. Spindle trees and a sunny December day. The part of France we live in.